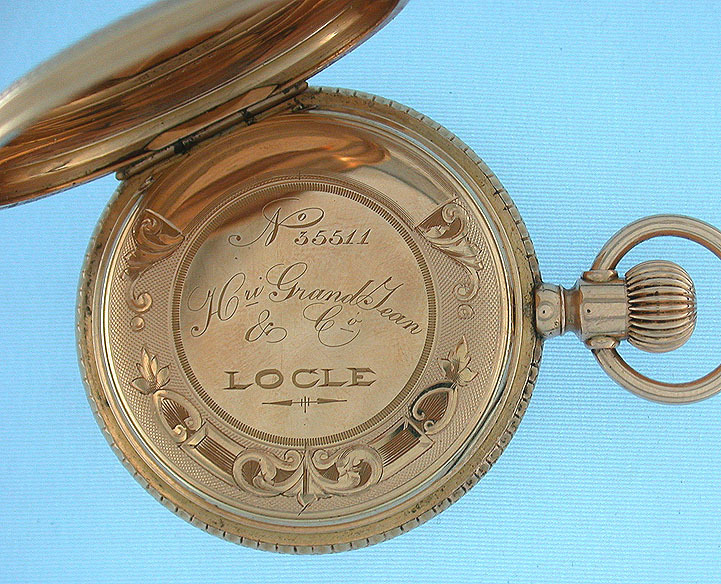 Fine Swiss ladies 18K gold antique pendant watch with fancy dial by Henri Grandjean, Locle, circa 1890. 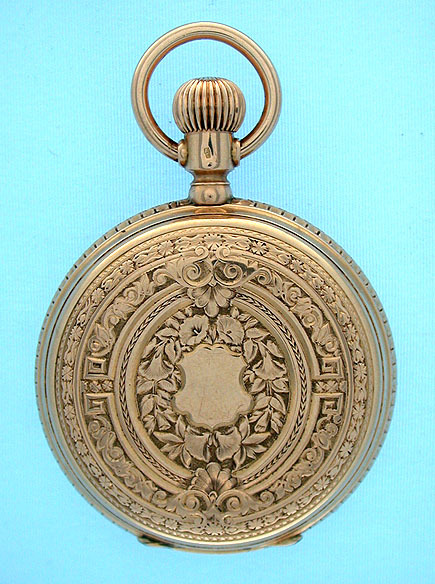 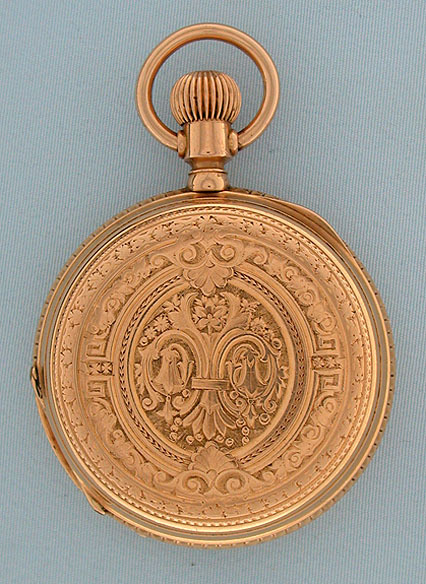 Beautifully chased and engraved heavy 18K gold case. 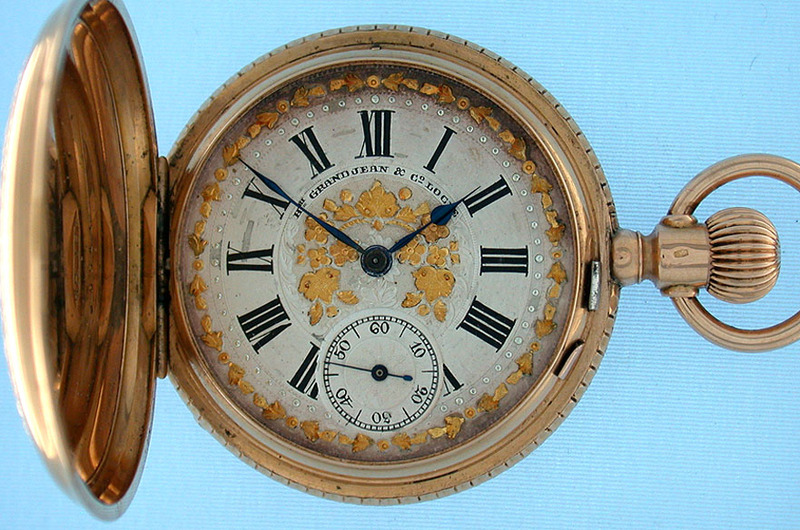 Silver dial with black numerals, applied gold decorations, and blued steel hands. 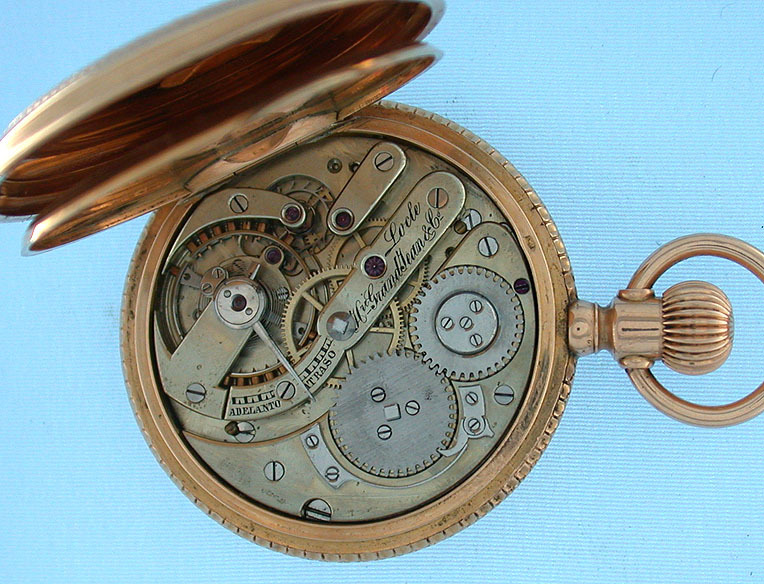 High grade nickel 15 jewel lever movement.